Well, blogging again after such a hiatis would seem that I’d have much to say. And I think I do. Unearthing it will be the challenge. Let’s see. First, this past Saturday night, our family took communion together within the church service that we were a part of. This particular night, the communion was set up as a “come and get it” kind of station near our seats. So as a famiy, we gathered ’round and each took up a wafer and dipped it in the juice (representative of Jesus’ body and blood, broken and shed for the forgiveness of our sins). My son Crews though, in a moment of childish innocence, taught me an unshakable lesson when he dipped his wafer into the cup, took a bite, and then proceeded to dip again. Without thinking, we stopped him from “double dipping” the wafer. But the truth is, he just wanted more. The first nibble of this quarter-sized wafer soaked in grape juice wasn’t enough for him. Crews’ action that night reminded me that I ought to constantly and passionately want more. When I so nicely and neatly take my little Jesus wafer and politely dip it into the sweet little cup of juice, my son would much rather take Jesus by the handful and stick his face down in the cup! I’m such a nice person–way too nice, perhaps to be that reckless with my love and desire for more of Him. It makes me think that Jesus didn’t come to make me nice. He came to make me crazy. He came to make me culturally incorrect. He came to make me careless and carefree about who sees me loving Him and living for Him. He came to call me into a life of double-dipping. While on vacation last week, one of the things we experienced was a coal mine tour. It was an incredible ex perience to be under so much earth and to learn exactly how miners operate below our feet! As a part of the tour, our guide shared briefly about the situation in Utah with the collapses that have happened and that he himself knows of miners who have been trapped for extended periods of time. In a strange somber tone, he shared about how all miners he’s spoken with or heard of who have been in that trapped position–in total darkness–all testify to “seeing” the image of the Virgin Mary present with them. I wasn’t sure what to do with that information. I still don’t. 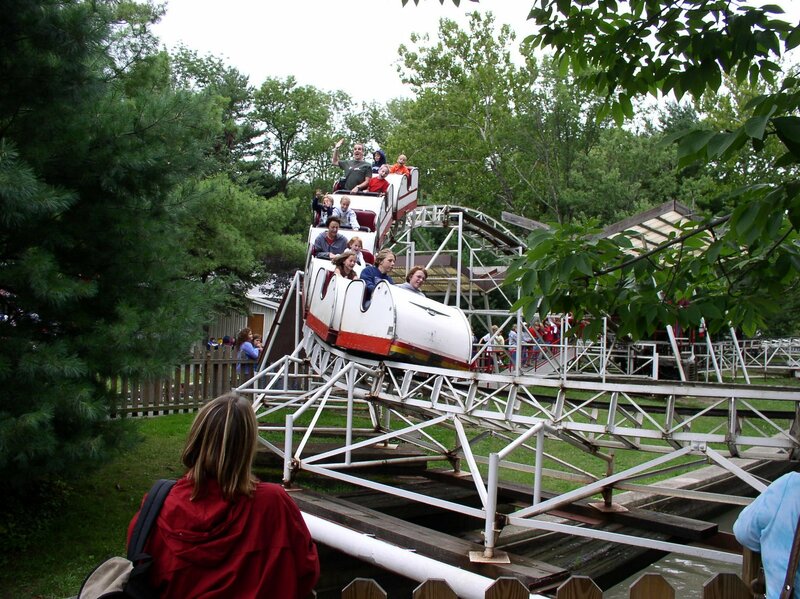 Another day, we went to Knoebels Amusement Park. My son had been so excited to ride the “kiddie coaster” (It had a different, more death-defying type of name, but I don’t remember it). So, bursting with excitement he turned to me to be his partner–assuming that Dad would have no problem handling such a ride as this. Little did he know that Dad DID have a big problem with this invitation–little did he know that when Dad was a kid, but still way too old for this to happen, Dad had to have the ride operator STOP the ride on a kiddie coaster exactly like this one. Dad kids you not. These little cars looked like little coffins as we inched in line closer and closer to the metal beast. And those cars looked so small. What do YOU do with fear? I’ll also pause here and share that one year earlier, I was in the exact same line with the exact same son and as we got closer to riding the exact same kiddie coaster, I had to call for my wife to step in and take my place–because I had the exact same fear and the exact same feeling of a panic attack coming on. So, what did I do with the fear this year? I laughed at it and celebrated it. 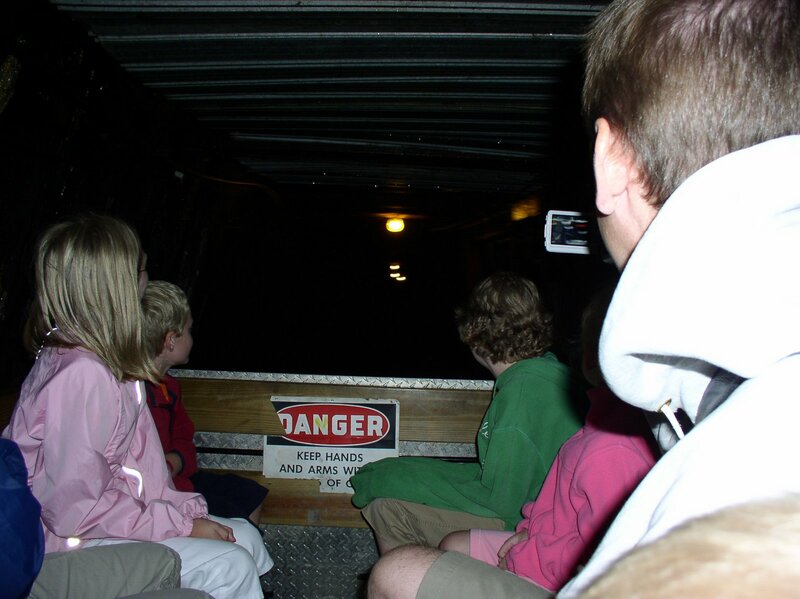 As we moved closer to climbing on board the coffin coaster, I turned to my son, and told him, “Crews, let’s see who can yell the loudest on the ride!” We stepped right up, and climbed in and pulled that lap bar down and began to roll forward up the first hill. You know what? The car wasn’t that small. The hill wasn’t that high. The ride wasn’t bad at all. In fact, I had a blast going round and round with my son, yelling and screaming, and generally making a spectacle of myself—laughing at fear. ← This won’t last long.